The “6+365” One-Stop Trading Services Platform of China International Import Expo (CIIE) is built by the government of Shanghai according to China International Import Expo Execution Plan. 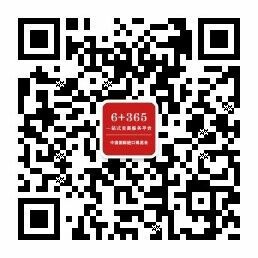 The platform aims to promote the operation mode of China International Import Expo with “6+365” professional services so that “the Expo lasting six days with the platform serving all year round” can be realized. Meanwhile, the platform provides efficient public services to change exhibits to commodities, and offers all-direction, multi-mode and channel trading promotion services for companies, commodities, technologies and services all around the world to enter the Chinese market, serving as the main engine of services for CIIE exhibitors. The platform features functions including News, CIIE Encyclopedia, Comprehensive Services, Trading Delegations, etc., which will provide trading promotion services in all directions for commodities, technologies and services from other countries to enter the Chinese market. The platform will serve as the optimal choice for domestic and foreign purchasers including China’s government agencies, state-owned enterprises, industry associations, business entities, manufactures, international import and export enterprises, cross-border e-commerce importers as well as exhibition and trade platform to procure commodities, technologies and services perennially. The “6+365” One-Stop Trading Services Platform provides the latest information of China International Import Expo and news from Shanghai Trading Delegation as well as releases the schedule of Shanghai Trading Delegation supporting activities at the scene of CIIE, where exhibitors and purchasers could make a registration appointment online. The platform offers enquiry, advisory and interpretation services for policies and regulations , trade facilitation, exhibit policies, intellectual property rights protection and import customs clearance process, etc. released by governmental departments covering China Customs, China Food and Drug Administration, State Administration for Industry and Commerce, The Ministry of Commerce of the People's Republic of China, Administration of Quality Supervision, Inspection and Quarantine, State Administration of Foreign Exchange and China National Intellectual Property Administration, facilitating exhibitors, commodities, technologies and services from other counties to enter the Chinese market. CIIE Encyclopedia takes on authority, expertise, efficiency and accuracy. The platform gathers global leading services providers to provide comprehensive and professional trading consultation and services, facilitating exhibitors, commodities, technologies and services from other countries to enter the Chinese market. The platform introduces Shanghai and national trading delegations, offers their contact information and accurately connects with online and offline demand and supply in order to ensure the deal of procurement.